The lake was as calm as could be this morning as the first races began in the Bains de Paquis at 9:00am. Nearly 150 young triathletes aged 6 to 13 got the weekend of festivities underway as they swam in the lake before cycling and running along its shores to cross the finish line triumphantly. The Kidsathlon and Ecoliers races offered distances adapted to each age group, allowing the young triathlon enthusiasts to take part as their families and friends cheered them on from the side-lines. 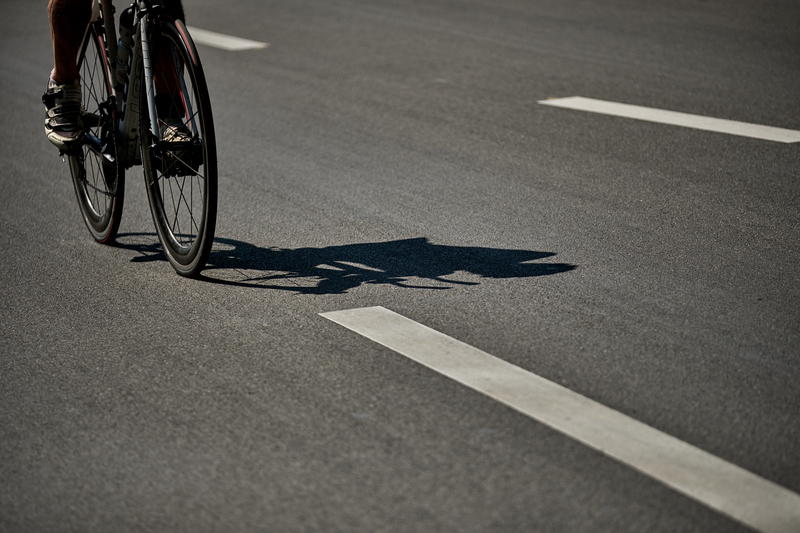 The most popular race of the weekend soon followed; having sold out prior to the event, the Short Distance format saw 900 triathletes of all ages and abilities toe the start line for 500m of swimming, 17km of cycling and 5km of running. Simon Williams from the UK was blown away by the atmosphere, after plunging into the lake under the shadow of the Jet d’Eau and re-emerging to a wall of sound on the shores of the lake: “there was a great atmosphere all the way along the course with the crowd cheering you it was really helpful,” he said, “I thought it was going to be flat by the lake, but you managed to find a hill for me to ride up!” he added with a laugh. Marta Dival from Hungary also expressed her delight at the atmosphere of the racing after completing her first triathlon since having a baby: “my motivation was to try and get back into sport after having a baby so there was no pressure for me today,” she explained, “I really enjoyed it and everyone was talking to each other and encouraging each other out on the course, it was a really friendly atmosphere”. First over the line was Tom Hug from Germany in a blistering time of 54:21 for the men and Camille Nieto of Tri Team Pully in an equally as impressive time of 1h06m45s for the women. Following the exploits of the 900 triathletes on the Short Distance race, another 250 participants took to the lake and its shores to race the Discovery Triathlon which featured 250m of swimming, 6.7km of cycling and 2.5km of running. 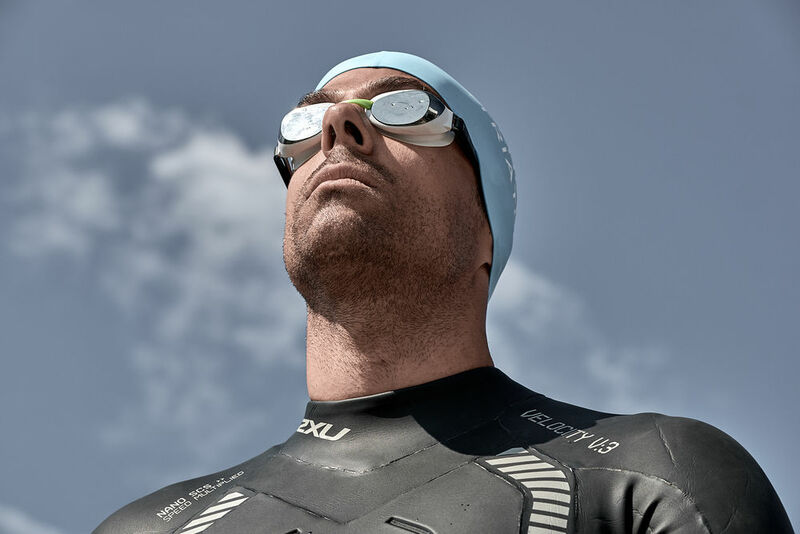 Designed with the novice triathlete in mind, the Discovery Triathlon allowed people like Yannick Hug to take part in their first ever triathlon: “I wanted to follow in the footsteps of my brother, I’m usually more of a hockey player,” he explained, “this was great for my first ever race, the course and the atmosphere were both incredible”. First over the line in the Discovery Triathlon, Alexandre Ferreras is an avid triathlete and saw this race format as an opportunity to celebrate his birthday after also racing in the Short Distance this morning. “I thought it would be fun to celebrate my birthday by racing twice today,” he shared, “it was really enjoyable to be at the front of a race for the first time ever, I felt like a star with the warning lights on the lead motorbike for a minute, it was amazing”. Bringing proceedings to a close this evening, the final race of the day got underway at 7:00pm as 50 teams of two athletes took part in the Run&Bike event. Alternating running and cycling over the 13km course, Stéphane and Christophe of the Grangettes Running Team took the win in a time of 42m41s. 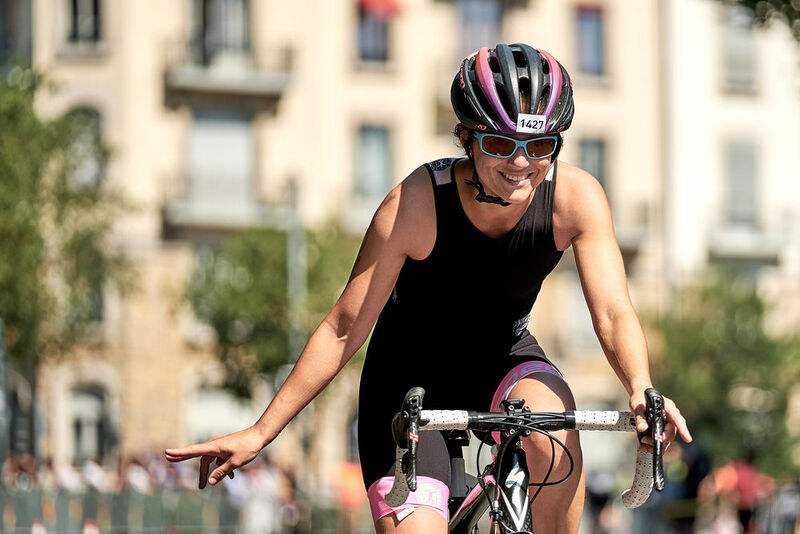 Tomorrow morning the final race of the weekend will get underway at 10:00am from the Bains des Paquis, 800 triathletes of all ages and abilities will take on the traditional 1.5km of swimming, 40km of cycling and 10km of running that make up the Standard Distance triathlon.